The Jingle Mingle Mart is an annual shopping extravaganza hosted by the Annunciation Catholic at Christ the King School PTO, in partnership with our underwriting sponsors. 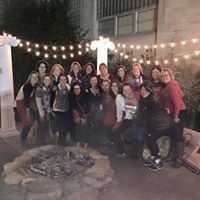 Jingle Mingle Mart is an event that started with a small group of Christ the King moms who had a goal to raise money for the PTO. The first annual JMM hosted 20 vendors and a small silent auction. Over the years, the JMM has grown into a community event, anticipated by shoppers, vendors, and our school. 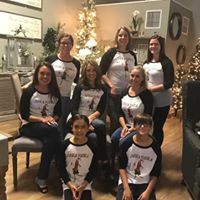 Our committee works very hard to ensure vendors have a successful night of sales and that our shoppers are offered the highest quality of unique and boutique merchandise without duplicating goods. The committee is pleased to host over 70 vendors, a food tent, entertainment, a silent auction, and a raffle. located at 3101 Bayard Park Drive on Evansville’s Eastside. All proceeds from the JMM benefit Annunciation at Christ the King School’s PTO. The PTO is responsible for funding many of Christ the King’s school activities and educational resources. A portion of the money raised from JMM 2017 will be used for playground updates and a new outdoor classroom! Over the past ten years, money raised at the Jingle Mingle Mart has contributed toward Smart Boards, computers, cafeteria tables, new flooring, a stage curtain, a new playground fence, technology projects, and school wide beautification and fulfilled teachers’ wish lists. It has also funded resource and Spanish teachers and provided scholarships for students. The JMM is the perfect kickoff to the holiday season!